Even after 1453, when the Plantagenet King Edward IV called time on the Hundred Years War in return for a substantial pay-off from his French counterpart, discerning Britons have retained close links with the Aquitaine region of south-west France and its capital, Bordeaux, traditional headquarters of the international wine trade. British second-home buyers have long been the mainstay of the country property market in the region, especially in Gascony and the Dordogne, where rolling hills, gentle valleys and villages lost in time conjure up nostalgic visions of Betjeman’s England. Six years on from the start of the financial crisis, the indigenous French country property market is still in a state of paralysis, thanks to President Hollande’s high tax policies, which have sent the rich diving for cover-often across the Channel to the safe haven of London. These days, apparently, well-heeled French families need a château in the country ‘like a hole in the head’. However, there are signs that the market is starting to turn, as buyers react to recent changes in French capital-gains tax (CGT). Since September last year, EU-passport holders with a property in France pay a reduced rate of CGT (currently 40.5%) for each year of ownership after the first three years. The period for total exemption from CGT was also reduced from 30 years to 22 years and, in a bid to encourage property sales, owners are being offered a 25% CGT break, valid until August 31 this year. Wealthy overseas buyers have reacted positively to the changes, says Ian Purslow of Purslow’s Gascony in Mirmande (00 33 5 62 67 61 50), Knight Frank’s longstanding associate in the region. Since the start of the year, he has found a number of English-speaking buyers for properties in Gascony, where prices, historically more realistic than those of the Dordogne, have fallen by about 30% since 2008. Here, the current Euro-sterling exchange rate means that £1 million will buy a well-restored manoir or chartreuse, with guest cottages and a generous acreage of amenity land. Already this year, Mr Purslow’s happy purchasers have included a French businessman returning home after 20 years in England; a British expatriate returning after 20 years in Hong Kong; an Anglo-Irish buyer moving out of London; and an English buyer moving from Jersey. But tastes have changed and few of today’s househunters want the hassle of renovating a rambling château in the middle of nowhere-they prefer the finished article: a house with a history in a picturesque location, close to one of Gascony’s many lovely stone towns and within an hour’s drive of Toulouse international airport. 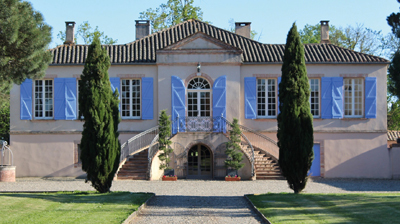 Houses with Brit-appeal currently on Mr Purslow’s books include the elegant 18th-century Domaine d’Escudes near the pristine, 13th-century bastide town of Beaumont-de-Lomagne, on the border between Gers and Tarn-et-Garonne, 37 miles from Agen and 44 miles from Toulouse. A former hunting lodge, built in 1754 for the Counts of Toulouse, the house, set in 100 acres of landscaped parkland, has been perfectly adapted for modern family living, with three reception rooms, six bedrooms, five bathrooms, a separate guest apartment and a caretaker’s house. Beaumont has a long tradition of Thoroughbred horse-breeding and the estate offers excellent stabling, outbuildings and pasture, as well as access to the area’s many and varied equestrian activities, including racing at Beaumont’s Hippodrome de Borde-Vieille. 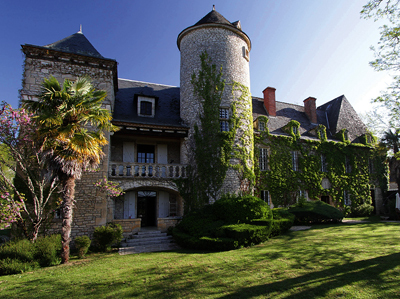 Also ideal for holiday lets, the Domaine d’Escudes is for sale at €1.28 million. The same agents quote a guide price of €1.19m for a classic 18th-century chartreuse (traditionally, a long and low single-storey building) near the regional capital, Auch, that has been impeccably restored and decorated to international standards by its French owner. Flooded with light from its many windows, the house has some 6,600sq ft of living space, with a dozen principal rooms including three reception rooms, five bedrooms and four bathrooms. It stands in nine acres of beautifully maintained grounds overlooking the hamlet of Lahitte, six miles from Auch and 43 miles from Toulouse airport. Further north, in the traditional British stronghold of the Dordogne, vendors have lagged behind those of Gascony in accepting the reality of the present situation and too many properties are still over-priced, says Matt Hodder-Williams of Knight Frank, whose family has owned a house there since the 1970s. However, you’ll get a lot of building for your bucks at the towering Château La Raysse, near the exquisite medieval stone town of Sarlat-la-Caneda and within easy driving distance of the airports at Brive, Bordeaux and Toulouse. Knight Frank (020-7629 8171) quote a guide price of €1.35m for the château, which forms part of an impressive estate complex that includes guest and caretaker’s cottages and two swimming pools, surrounded on three sides by 18 acres of formal gardens and parkland.  The property, which has an established track record as a boutique hotel and wedding venue, has six reception rooms, seven bedroom suites in the main house and five more suites in the guest wing. At the end of the road to the east runs the mighty River Dordogne, which marked the dividing line between the kingdoms of England and France during the Hundred Years War. Less daunting, perhaps, is the immaculate Solle de Bost to the west of Bergerac, a delightful chartreuse with a three-storey wing, set in a courtyard of historic outbuildings that include a ‘museumgrade’ garage and a large wine cellar. The house stands in some six acres of well-tended grounds and has four reception rooms, seven bedrooms, five bathrooms and a guest cottage, with covered and open terraces around the swimming pool, making this the ultimate French rustic retreat, with a guide price of €1.1m, through Knight Frank.